Another alien child has died shortly after being caught crossing the border illegally with his father. The child was identified as an 8-year-old Guatemalan citizen, Felipe Alonzo-Gomez. This is the second such death in somewhat parallel circumstances, the first being 7-year-old Jakelin Caal Maquin, also from Guatemala. As in the first instance, DHS's Office of Inspector General (OIG) has commenced an inquiry, which is both appropriate and necessary. 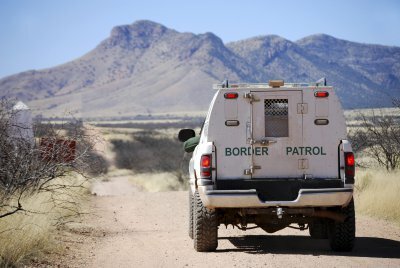 The responses to this death have been somewhat more muted (so far) than after the first tragedy, when media, politicians, migrant advocates, and others immediately poured vitriol onto the federal agents and agency responsible for patrolling the border — the U.S. Border Patrol, a division of Customs and Border Protection (CBP), which itself is an agency within the Department of Homeland Security — without even benefit of the facts or a timeline. Even so, over Christmas, representative-elect and progressive darling Alexandria Ocasio-Cortez tweeted about "refugees in mangers", a not very veiled reference to the deeply disturbing transporting of minors illegally across our borders, even though at the end of the day few of the adults or minors who appear in immigration court to pursue their asylum claims are in fact determined to merit refuge; most are found to be economic migrants. Worse, an Austin, Texas, couple decorated the outside of their home with a manger scene replete with a jail cage around the infant Jesus. Such reactions are shockingly offensive and do nothing to promote a full, fair, and exhaustive inquiry. Questions have been raised about the adequacy of Border Patrol facilities for handling minors. I'm sure that the OIG will dig into that, but the deeper question is this: Do we, as a nation, really want the trafficking and transporting of minors illegally across our borders to become so routine that Border Patrol stations must of necessity have child care facilities within their larger temporary holding facilities? Then there is the question of ultimate responsibility. Does it rest with federal agents? They come on the scene at the end of the aliens' long, dangerous, and stressful trek lasting anywhere from 1,500 to 2,000 miles through hostile terrain that even the most hardened and fit adults find difficult. These children arrive — having been "brought through no fault of their own", as is often said — with their bodies' resources depleted and their immune systems compromised. Whose fault is that? Somehow, in those last few hours, Border Patrol agents are expected by their critics to overcome the damage that was done to these children during the many weeks of their travel, as often as not accompanied by parents and as a part of a smuggling load in the care of an indifferent coyote whose interest is in speed and not being detected. Where is the parental responsibility for this state of affairs? Let me hear nothing about them taking these risks because they are desperate in Guatemala or Honduras or El Salvador. What right do parents have to subject their children to this kind of danger — not to mention the significant chance of physical or sexual abuse of these vulnerable minors? Here in our country, parents are prosecuted if they leave their children, or even their dogs or cats, unattended in a hot car while the parent pops into the Wal-mart. Excuses don't carry you very far for doing such a thing, because it's beyond irresponsible and every parent knows it. Why is this different? If anything it's worse. Desert temperatures range from boiling in the day to freezing at night; predators and poisonous insects and reptiles are everywhere; and there is neither food nor water to be found. Shouldn't the public be in favor of a public policy stance that ends adults' use of these minors as get-out-of-jail cards in order to game the immigration system? Isn't this preferable to accepting that mass movement of minors across our border is inevitable or morally acceptable? One way to do that would be for our Congress to get serious and criminalize, with substantial penalties, the transporting of, or attempt to transport, minor alien children across our border in violation of law, and to be sure that such penalties apply as surely to parents as to smugglers. No child should be subjected to the rigors of the journey that cost Jakelin and Felipe their lives.